"Fencing is the thrilling sound of steel meeting steel. It is the sweet taste of victory and the personal growth accompanying both victory and defeat. Become involved in fencing--it will help you acquire the reflexes of a boxer, the legs of a high jumper, and the concentration of a tournament chess player. The sport develops your agility, strength, speed, and cunning. Because it is action-packed, it is known as the fastest martial art. But the best thing about fencing is- IT'S FUN!" Mal-sun Marletto, Club Owner and Head Coach, started fencing in Belgium at the Cercle Royal d'Escrime de Bruxelles (the Royal Fencing Club of Brussels) at 10 years of age. While in Europe, she competed in many international competitions in Belgium, Germany, France and the Netherlands. She then moved to the United States in 1992. In 1995 she began fencing for the Hartford Fencing Club in Hartford, Conn., and gained extensive regional, national and international tournament experience. She even competed in a World Cup! She has since received the titles of Connecticut Women's Foil Champion in 2000, 2002 through 2004 and 2009, Connecticut Women's Epee Champion in 2003, 2006, and 2007, and Connecticut Women's Saber Champion in 2007. Mal-sun became a USFCA-certified Moniteur (an internationally recognized certification) in Foil and Epee in 2004 and is the highest USFA-rated female referee in the Connecticut Division (5th highest overall in CT). She continues to attend regional and national fencing clinics, camps and conferences, as well as fencing tournaments of all levels. Since establishing the Farmington Valley Fencing Academy, Mal-sun has trained at the Boston Fencing Club--first under the tutelage of French Fencing Master Jean Cleeve-Soter and with US National Coach and 2-time Olympian Michael Marx--so she could further her understanding of modern competitive fencing and continue to be the best fencing coach for her students. Under Master Soter's training she became a US National Gold Medalist at the 2008 Chicago Division 2 Women's Foil North American Cup--her best result to date. Mal-sun last trained with Fencing Master Michael Marx of the Boston Fencing Club (http://www.bostonfencingclub.org/) and Fencing Master Slava Grigoriev of the Fencing Academy of Westchester, New York (http://www.fencewestchester.com/). 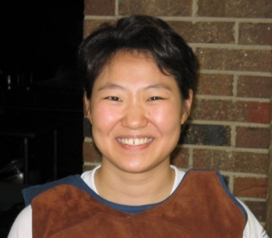 Coach Mal-sun also placed 41st at the 2010 Virginia Beach Divison 1 Women's Foil North American Cup--the highest division in US Fencing, where the top 4 fencers make up the US National Team for the Olympics and World Championships. During the 2015-2016 season, Coach Mal-sun took the #1 US National Ranking in the 40-49 Women's Foil by winning the Bronze in Baltimore and the Gold in Richmond and most recently won GOLD at the PanAmerican Veteran 40 Foil Championships in Puerto Rico on Aug. 23rd, 2016! She also took the #8 National Ranking in 40-49 Women's Epee and #10 in 40-49 Women's Saber. She is currently the only fencing coach in Connecticut to teach and compete in all three disciplines in fencing, which give FVFA students more opportunities at accomplishments and success within the sport, at FVFA and later on in life if so desired. With over 25 years of personal competitive fencing experience and over 20 years of coaching/teaching experience, Mal-sun hopes to instill the passion for the sport in her students as well as giving them the adequate environment to accomplish even greater results than hers. Some of her students' accomplishments include Bonnie Hennig (2014 US Veteran Pan-American Foil Bronze Medalist), Elaina Raymond (2014 Nutmeg State Games Gold Medalist in Y12 Girls' Foil), Hannah Bennett (2014 CT High-School Women's Epee Silver Medalist, recruited by NYU's NCAA Div 1 Epee Team), Cody Richard (2013 CT High-School Men's Epee Champion, also received a fencing scholarship at Sacred Heart U. to fence on their Div 1 NCAA Epee team), Maria Napolitano (2009 CT High-School Women's Epee Champion, fenced on Cornell's NCAA Div 1 Epee team), Devin Miles (2008 CT High-School Men's Epee Silver Medalist), Scott and Kent Michonski (2002 CT High-School Novice Men's Foil Champion and Silver Medalist). Mal-sun coached the Simsbury High School Fencing Club from 2002 to 2007 and The Loomis Chaffee School in Windsor, CT, from 2007-2013. She has a BA in Art/Graphic Design and speaks fluently English, Italian, French and understands Spanish. The Farmington Valley Fencing Academy’s plan is to start out small, testing the waters to see just how well the sport takes in the area and proceed from there. The sport of fencing is becoming increasingly popular in the United States and the US fencers have been getting some great international results, including the Gold and Bronze medal in the Women’s Individual Saber event at the Olympic Games in Athens. Hopefully the interest in the sport will be high and the Academy will be able to grow hand-in-hand with Coach Marletto’s vision. Fencing Coach and three-time Connecticut State Fencing Champion Marletto moved to the Farmington Valley area three years ago and, after leaving her full-time job, decided to pursue her past-time sport and turn it into a career. Marletto started fencing when her mom got her involved at the age of 10 in Brussels, Belgium. Marletto has been an advocate for the sport in the United States since moving to Connecticut in 1994. She has been a competitive member of the United States Fencing Association (USFA) for over ten years and has been leading group classes at the Hartford Fencing Club for four years. She also helps coach the Fencing Team at the Simsbury High School and the first year the team was formed, her students took the gold, silver, and fifth place at the Connecticut High School Novice Tournament, where 125 Connecticut high school boys and girls competed. Scott Michonski of Simsbury, the gold medallist of that tournament, is now a sophomore at UConn, Storrs, and is the President of the UConn Fencing Club. Most recently, Charlie Thomas, 10, of Farmington just attended his first fencing tournament in Middletown, Conn. against a very tough field of competitors which included fencers of all ages from the New England area. Fencing is a sport people of all ages can enjoy: often 50-year-old students are paired up with 12-year-olds in group classes. ... All people with an interest in learning how to fence, or with prior fencing experience, are encouraged to contact Mal-sun Marletto at (860) 305-3594 or FVFA@comcast.net.